When making changes on your PHPFox Neutron website, sometimes you will not be able to see them right away due to it’s cache engine. To clear the cache and see the most recent changes on your website, you will need to login to your admin dashboard and navigate to the Maintenance section on your main panel. 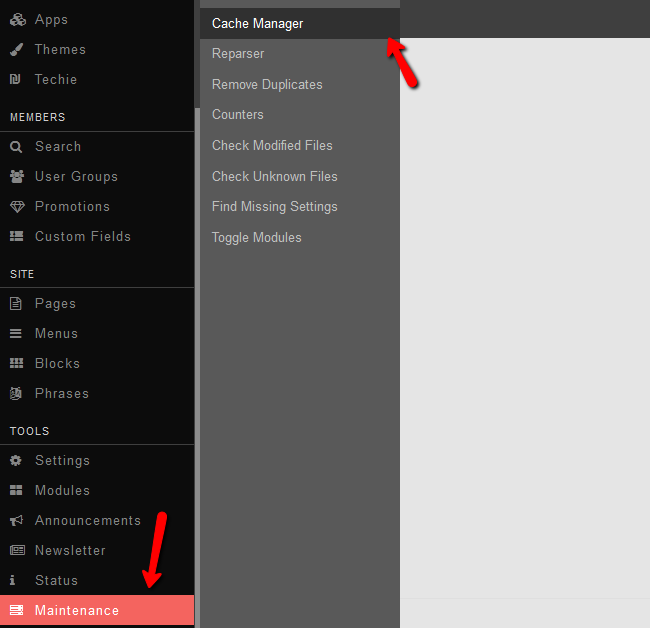 From there you can click on Cache Manager which will direct you to the Cache management page. Here you can see your Total Objects and Cache Size. In order to clear the cache click on the Clear Cache button at the top right corner. You will need to reload the page to see the differences in size and objects.